CANCEL/O : Cancels cruise control operation. 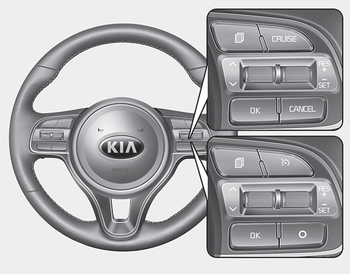 CRUISE / : Turns cruise control system on or off. RES+ : Resumes or increases cruise control speed. SET- : Sets or decreases cruise control speed.